Block B is a very talented group – G.O. Aww…it’s sweet that G.O. is cheering on Block B. They really need some celebrity friends/fans. Block B dongsengs’ song, ‘Nanrina’ is really good~! They are all so talented!!! * He just applied to level up at a new MBLAQ fansite and his username is 지오. The fans were telling him that if he tweeted about it they would level him up right away, lol. 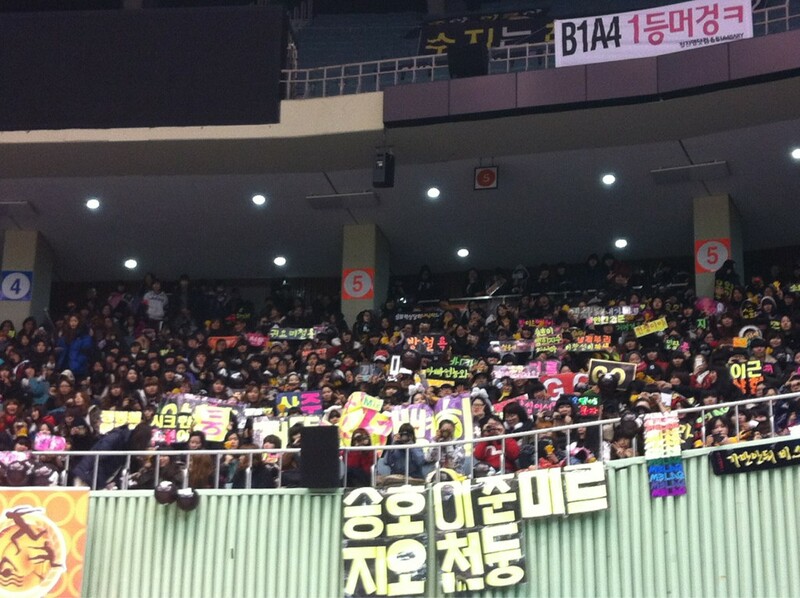 Started from Open Concert to I-Concert (Beautiful Concert) we were full of energy thanks to A+s goddesses’ cheering today~! Thank you^^ It’s very cold so watch yourselves returning home!! T/N: Yooni and Wani are G.O’s nephews. MBLAQ’s Children for Hello Baby Revealed! Thank!!! you we’ll eat well ^^ I love you G.O duck!! !